Well here it is, almost September, and of course that means it’s time to introduce you to our newest fall patterns which will be available at the end of next week! This season we have three new styles for you, and I’m really excited to unveil each of them. I thought we’d start with the boys. Last year we released our Field Trip Cargo Pants + Raglan T-shirt pattern, and so many of you have told us you really love that pattern for its great details, its versatility, and for the options it offers. You’ve made a lot of fantastic clothes from that pattern! This season I thought it would be nice to give you something similar but a little dressier, so I’m pleased to introduce you to the Art Museum Vest and Trousers! Both of these pieces include a welt pocket, which many of you have expressed an interest in learning to sew. The welt looks so impressive and tailored and fancy, but it’s not difficult to sew at all. I suspect that you’re going to be looking around for other places to add a pocket after you’ve tried this method. 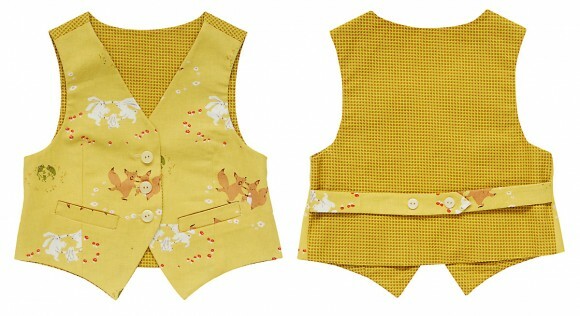 The vest is an especially easy and fun piece to sew. It’s fully lined with an interesting but simple method (almost no hand sewing!) and looks so impressive, with one fabric for the front and another for the back and the lining. We had so much fun with this! Witness a few of our many samples; it was hard to stop coordinating fabrics for this style. Usually when you think of a vest you think about more formal dressing, but that doesn’t need to be the case. 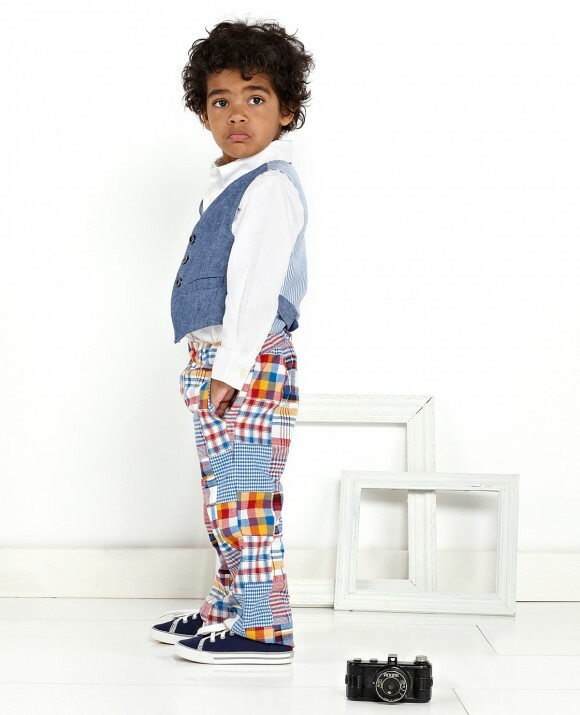 With all the conversational prints available today, you can take this style in all sorts of playful directions. We used an authentic Japanese ikat paired with a Liberty lawn for one vest, and a linen chambray with a striped rayon lining fabric for another. But how cute is it in a Heather Ross conversational? Or in Kate Spain’s ikat print? It’s a lot of fun to play with fabrics for this vest. I think you’re going to love it. The trousers are a really straightforward, classic pant that include front pockets, a faux fly, optional welt pockets at the back (but really, why wouldn’t you make the welt pockets, given such a simple construction method that will have you feeling like the world’s biggest sewing genius when you’re finished? ), belt loops, and even a contrast fabric waistband facing for a really tailored and professional look. For the dressier side of things you might pick a wool gabardine or a dressy twill, but for a more casual look a canvas or denim would be great. Any why not corduroy? We used a madras plaid patchwork for one pair, and a fancy Italian cotton twill for another. And did I mention that this isn’t a pattern just for boys? S has been wearing her ikat Art Museum Vest with everything this summer. 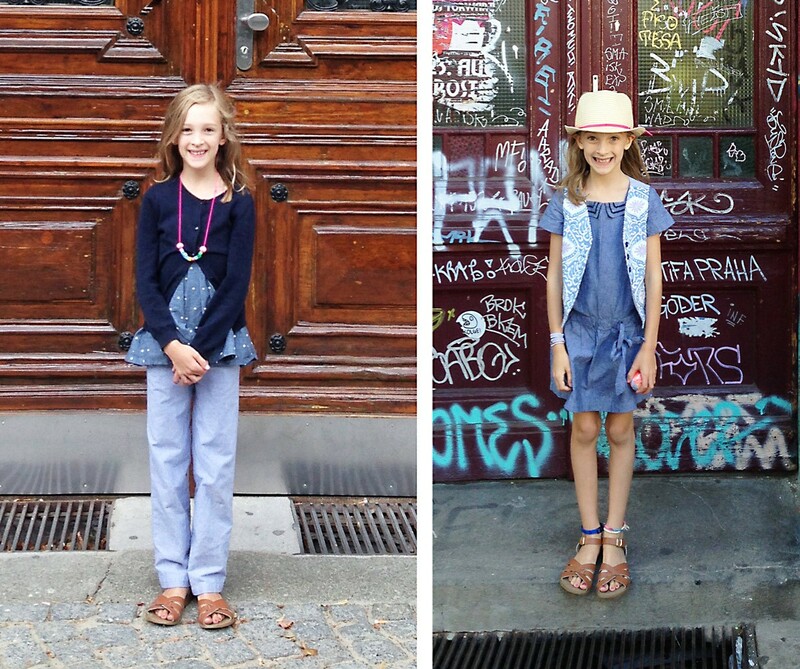 It looks really cute worn with her chambray Art Museum Trousers and a feminine little peplum T-shirt that she loves. 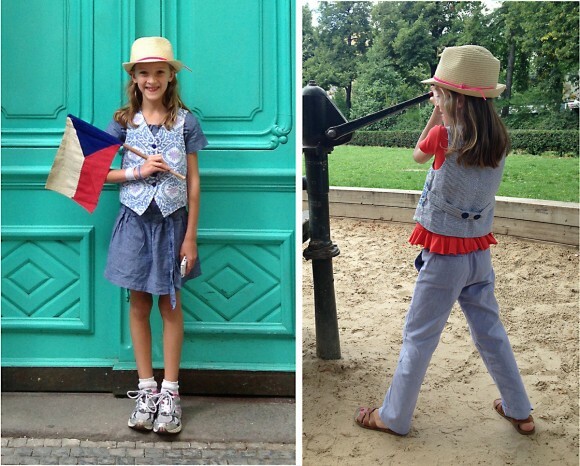 It also looks adorable worn over her chambray Croquet Dress, and of course it could also dress up a really simple outfit like a T-shirt and her polka-dot chambray Lazy Days Skirt. She has also been wearing her chambray Art Museum Trousers with her polka dot chambray skirt pulled up under her arms as a tunic, with a cardigan over it. (It’s like she’s exercising her inner fashion designer when she dresses herself in unexpected ways like this. I think it’s so amusing.) I love how she tops it off with her summer fedora. We’ve been doing these Instagram door photo bombs for a while now, and if I zoom in you can see her in some of these outfits over the past few weeks. I hope you have a lot of fun with this pattern! We certainly have, and I know you’re going to be making some seriously impressive- and cute-looking outfits once you get your hands on it. It will be available for purchase next Friday, so start planning! Oh this is fab! I can’t wait to make my little man a vest. Cheers! I love these! The pants and vest look so dang cute for school. can’t wait, both look sensational and so versatile. One thing though: my adult kids (parents now) do not like the faux fly, even on the toddler grandbabies. Can you add a tutorial for converting the faux fly to the real deal, perhaps as an addendum to the pattern? Wonderful! Will definitely be adding this to the collection. This will be perfect for my little toddler boy. I love the pockets and the nice details. I will buy this just for your wel pocket instructions. That in of itself will be worthwhile, but the vest is cute too and the pants are really sharp looking. I’m going to need lots of church clothes this year, so I should really think about this. I’ve been looking for a versatile pants pattern…this one looks perfect. And a little girl’s vest? yes!!! The boy models’ shirts seems to be poking out from the bottom of the vest and the last button seems to be striking them closer to their belly button than to just above the waistband of their pants. Are the modeled vests a size too small? Aside from that concern, I’m thrilled to see this addition to Oliver+S! love the pants in plaid, the vest is a nice wardrobe builder/extra layer! 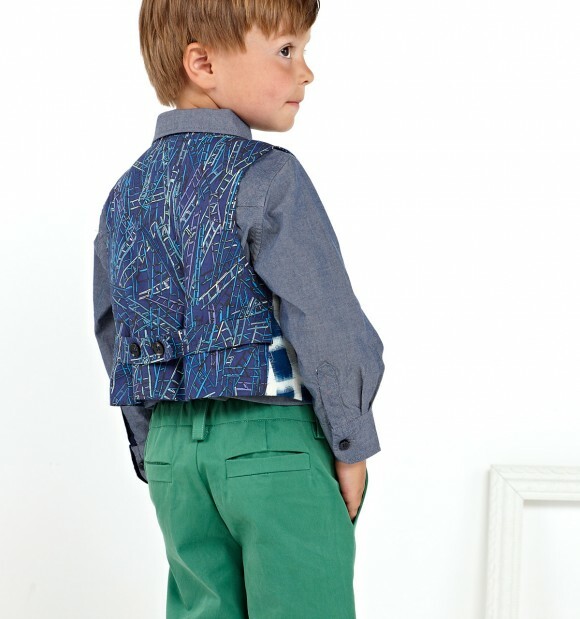 Love it in ikat, the green trousers/blue vest outfit is tiny hipster a+. I got my now-9 year old son a fedora at the start of summer, but it’s soft straw and he pulls it down so it looks like a farmer hat/bowler. Still cute, but not nearly as stylin’ as S’. Brenda, we will absolutely be offering a zipper fly tutorial! We don’t do a zipper fly in our patterns because if the wide size range and no need for a zipper in the small sizes, but it’s an easy change for the big kids. Stay tuned! I am absolutely over the moon over this pattern! 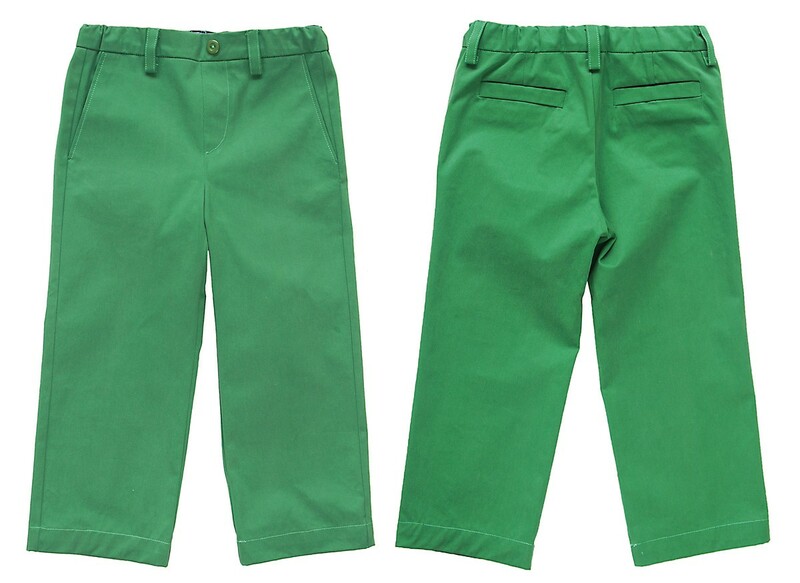 The trousers are very similar to the school trousers my son wears with the updated uniform. This means I can be sneaky and make them for him next year! Love the vest. I think this pattern will be a real hit in our house! I’m so excited about this pattern. I have been waiting to see what your new pant pattern would look like before I started sewing. Where we live it doesn’t get very cold. Most of the store pants are lined and we almost never need that. I’m so excited to make these for my son! This pattern looks like a best seller, L and T (and S for wonderful modelling). I’ve been looking at vest patterns recently, and the trews appear to be a wonderful combination of the Sketchbook shorts’ ‘smartness’, and the After School’s potential for embellishment. 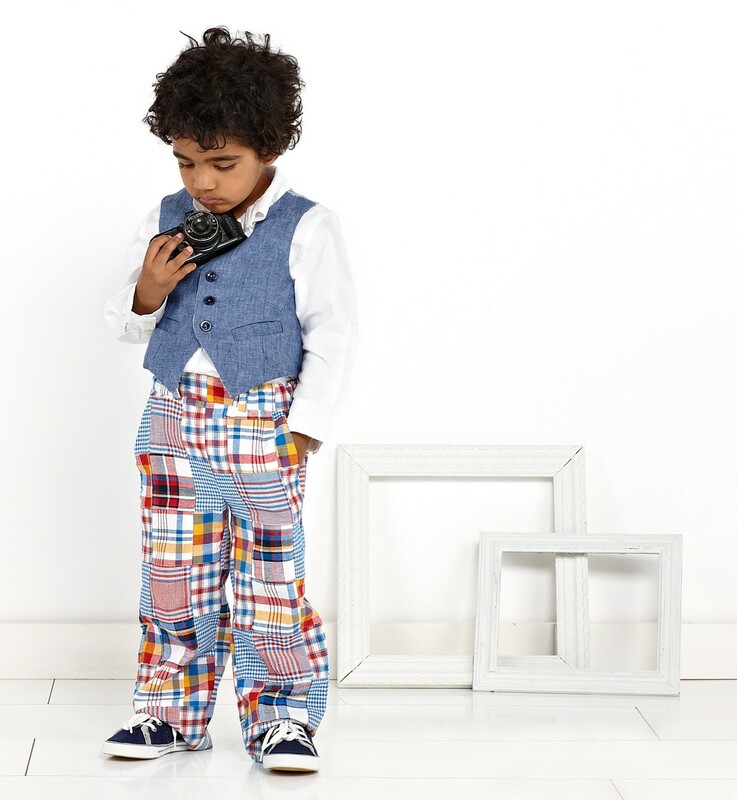 Again, I had convinced myself that I didn’t need any more patterns for fall, but these trousers are definitely a “must have” – they cover all my kids size ranges, are stylish enough for formal wear, capture the classic casual look I love and are perfect for boys and girl. Yay! These will work so well with the rest of your boy patterns! 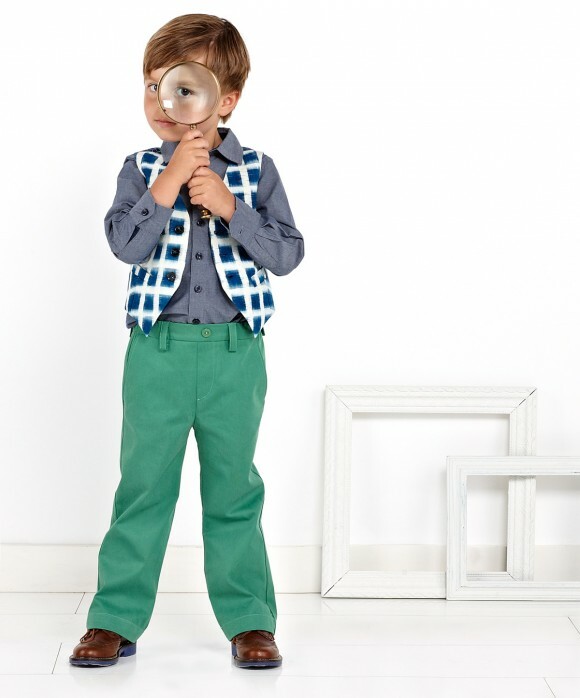 I can’t wait to plan my three year old’s fall/winter wardrobe. So great. I need a ton of gifts for little boys all of a sudden. These little outfits will be perfect–plus the last time I tried welt pockets, they were really pesky. I’m looking forward to the smarter, easier Liesl solution that I find in every pattern of yours that I try. Liesl, how did you know I have plans to sew a formal vest in the next few weeks and was concerned about the welt pocket? Because here you are with the perfect pattern and instructions! And downloadable! Thank you and well done. Oh yay! I just recently posted in the forums about wanting a vest pattern so I am super-excited for this one! Thank you Liesl for another amazing boy pattern!! I am so excited about this one. My boy absolutely loves me sewing for him and picks mama made over handmade given the chance. Keep ’em coming! Love the vest! I was just looking for something interesting to sew for my boys….can’t let baby girl have all the fun! This will be perfect! And vests make it easy to coordinate pictures without having everyone matchy-matchy! Thanks! this is adorable!! I want want want this pattern!! its sooo cute!